Housing Services is excited to announce that beginning with the Class of 2022+, Hamerschlag House will be co-ed! 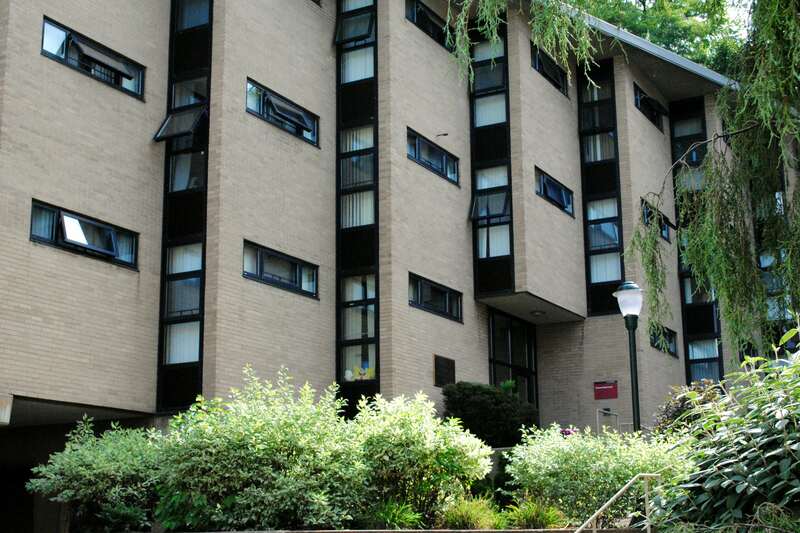 Hamerschlag House is a first-year residence hall located on The Hill. Since its construction in 1960, it's been an all-male hall. But beginning with the fall 2018 incoming class, Hamerschlag House will become an all gender community, a reflection of the fact that for the first time in the university’s history (last year with the incoming class of 2017), the incoming undergraduate class of women tipped the scale over men at 51 percent. In 2017, women made up the majority of first-year undergraduates at Carnegie Mellon University, a distinctive milestone among top-ranked universities that award the majority of their undergraduate degrees in science, technology, engineering and mathematics (STEM) fields. At 51 percent of the Class of 2021, the proportion of women was significantly higher than the national average for peer institutions, propelled by successes in recruitment across CMU's colleges and schools. To celebrate this momentous shift, Housing Services has partnered with Carnegie Mellon's Marketing & Communications design team to rebrand the main entryway to the building. Members of Housing Services, Residential Education, and several Carnegie Mellon students met recently to brainstorm themes and design elements that may be included in the rebranding of Hamerschlag. Topics discussed included celebrating history by connecting CMU's past with our present and future via the concept of breaking barriers and campus 'firsts,' with a particular emphasis on incorporating CMU's commitment to diversity and inclusion. The brand installment will take place in the fall of 2018, after first-year move-in. Hamerschlag's new residents will be able witness the transformation in their residence hall and, after everything is in place, will come together for a reception to celebrate the re-branded space. Check out the video about Hamerschlag Re-Imagined! Learn more about the project from the former and current CA, a head orientation counselor, housefellow, CMU's associate vice president for community standards and diversity initiatives, and the lead graphic designer for Hamerschlag Re-Imagined.